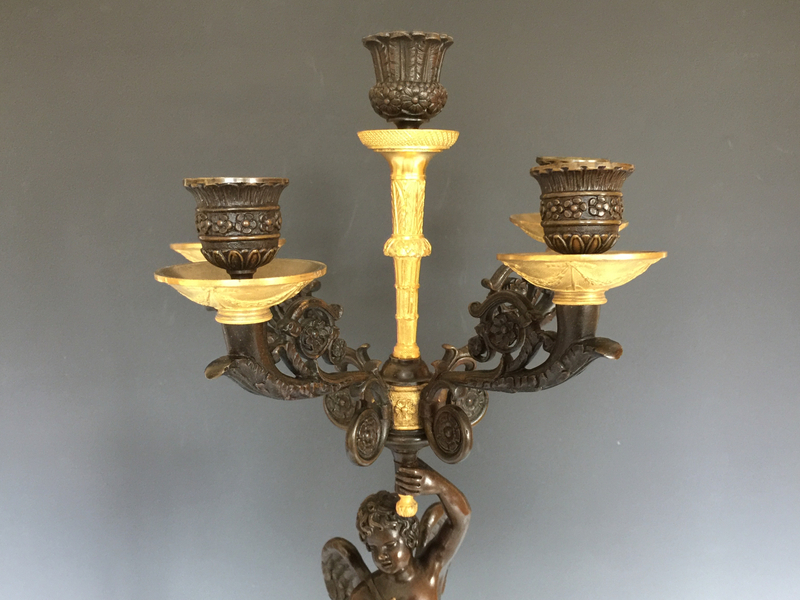 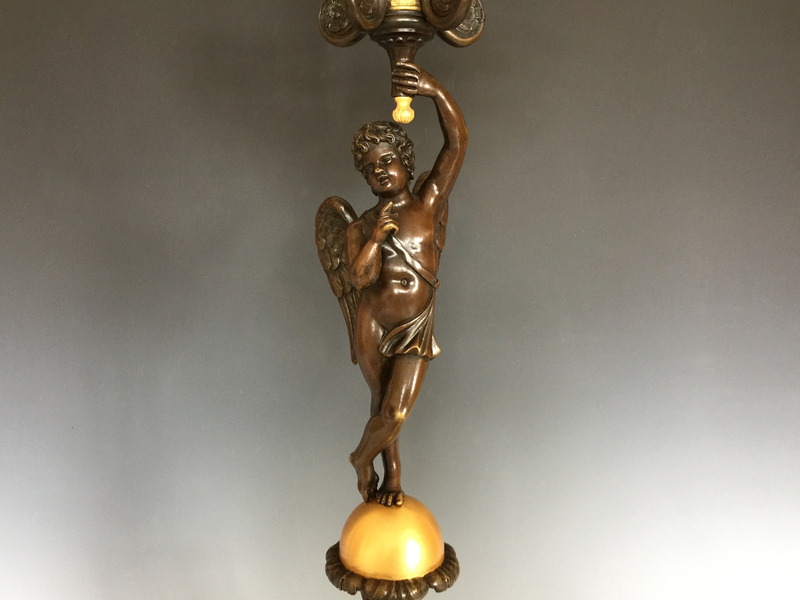 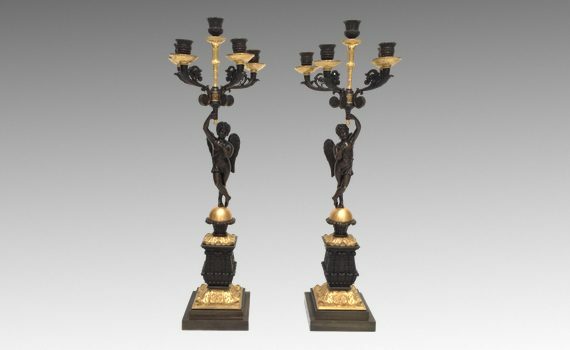 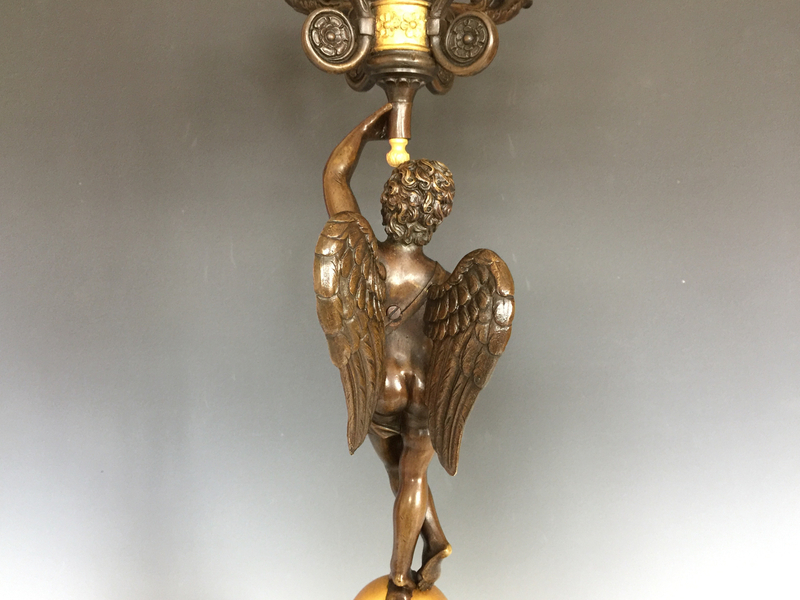 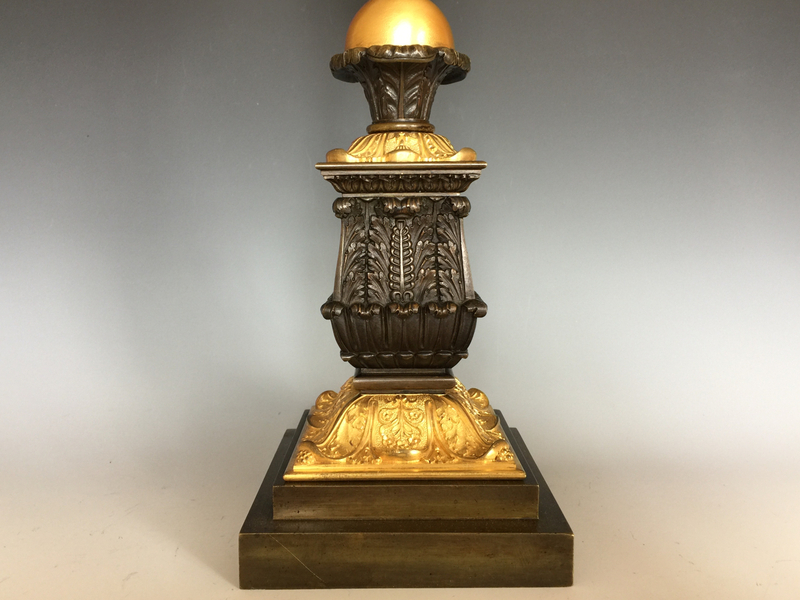 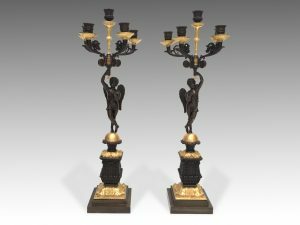 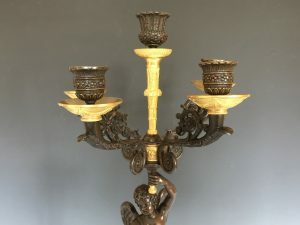 A pair of gilt & patinated bronze early 19th century French, Restauration Period, five light candelabra. 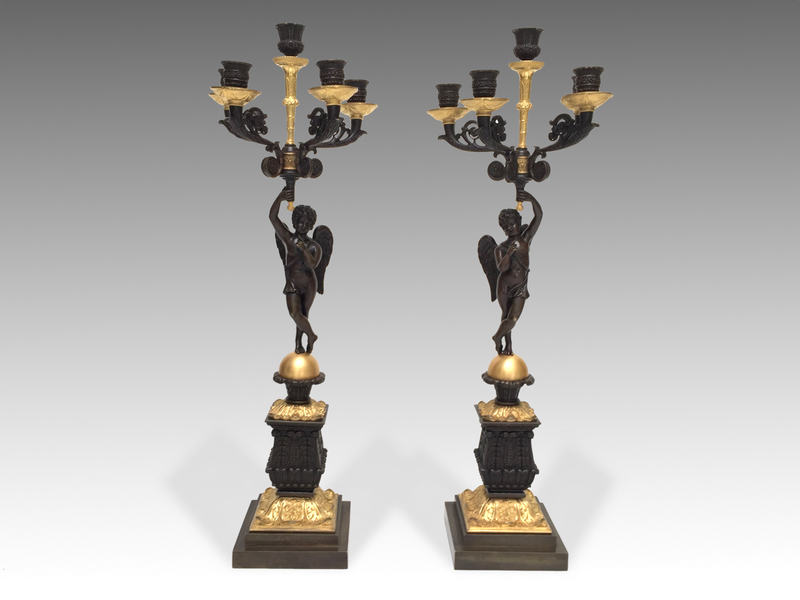 Each bronze figure of a winged cherub supporting five candlearms, standing on stepped plinth base cast with acanthus. 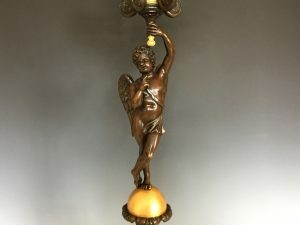 Lacking bobeches.